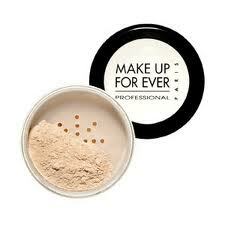 Powder is the best way to set your makeup and give it a matte finish. 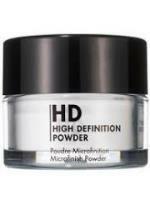 I recommend using loose powder that's applied in the morning after a cream or liquid foundation. To touch up shine that appears throughout the day, it's best to use blotting papers. Oil attracts bacteria, and if you use a pressed powder for touch ups you will contaminate the powder. An oil residue will also collect on top of your powder, and prevent you from getting the best usage out of your product. This is a talc-free powder, so it's great for all skin types - even sensitive skin. It contains mineral silica powder, which is more transparent than talc, making it a universal powder that can be used on any skin tone. The spherical microparticles leave the skin feeling silky smooth. It's the perfect loose powder to set and mattify your foundation. Product price $30.00 Available at Makeupforever, Sephora, and fine department stores. This loose powder will do exactly what it promises to do - give you a super-matte finish. The ultra-fine silicone spreads evenly. The silky feeling powder gives you a smooth finish, and finely ground pigments will ensure that your skin does not look chalky. Product price $24.00 Available at Makeupforever, Sephora, and fine department stores. These blue-colored sheets quickly absorb oil, leaving the skin shine-free without distrubing your makeup. When you apply the oil-absorbing sheets to your skin, you'll see them change colors, which tells you they're working. Fifty sheets are conveniently stored in a portable package, making touch ups effortless. Product price between $4.50 - $6.59 Available at Ulta, Walgreens, CVS and Target.